I’m not sure how to describe it, except that it’s not the kind of a noise you’d expect a human being to be able to make. Perhaps if you ignore it, it will go away. Or maybe it’ll turn out to be some kind of a trick of the light. After all, a skull shouldn’t really be able to smile like that. Should it? That’s right, it’s just five days until Halloween - the time when otherwise perfectly sane and normal people decide to dress up as zombies, believe in ghosts and hunt for witches. For a while, it looked like Halloween had been hijacked by the kids, with their trick or treating and bobbing for apples but, as befits a night dedicated to all things terrifying, otherworldly and supernatural it’s now firmly been reclaimed as a big Brixton night out for the grown-ups. Look upon it as a warm up for Christmas and a chance to cheer everything up despite the fact that it’s rapidly getting colder and darker. A chance, in other words, to have a good night out combined with an imaginative costume, some terrible puns (you won’t find the word ‘spooktacular’ in this piece) and a reminder that being just a bit scared is actually a whole lot of fun. Halloween and rugby, it’s a combination nobody has even tried before. The Final Apocalypse Halloween party at Gigalum will include a screening of the Rugby World Cup Final followed by sets from resident DJs Hilton Caswell and Ben Yong. Rugby Zombies fancy dress a must, with prizes on offer for the best costumes. Start the fun early with a free street market open from 5pm until 11pm. Attractions include street food, licensed bars, live entertainment, fortune tellers and hideously lifelike face painting. From 6pm to the early hours, a Hammer Horror-themed event that’s free to enter, although fancy dress is compulsory. Classic rock and roll DJ sets, comedy and an appearance by live horror artist Spike Stephenson await. Party like it’s your last chance ever at a Halloween-themed end of the world celebration. Post the tracks you want to dance to on the event wall, dress in your most freakish attire and dance until the early hours. Two rooms, one featuring DJ Lisa Pin-Up and a host of other stars, the other offering horror movies, face painting and a light and laser show. 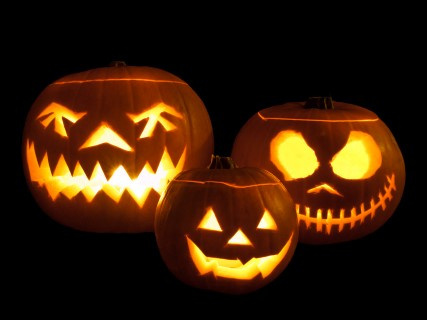 Decorated throughout in spectacular Halloween style, and with a dress code that demands you pull out all the stops. Brixton’s excellent road and public transport links (which include the N2, N3 and N133 night buses) mean all the events we’ve highlighted are easy to get home from for those living outside the area. But if you want to enjoy the best of Brixton both day and night, you need to live here. For help finding houses and flats to rent and buy, contact Eden Harper’s Brixton office today.